Dell Power Supply Power Supply - C248C - 305 Watt - Used"
Even a small defect in the power supply can quickly become a nuisance if the system. Crashes eg sporadic or no longer reaches the highest possible performance. Even a small defect in the power supply can quickly become a nuisance if the system. Crashes eg sporadic or no longer reaches the highest possible performance. The Dell MVM2T therefore 300 watt power supply provides an inexpensive way for quick repair. To quickly take advantage again of a technically flawless system that you can rely on every day again. Check Before Buying compatibility of the used power supply to your PC system. This is for example. With reference to the part number MVM2T Dell possible. 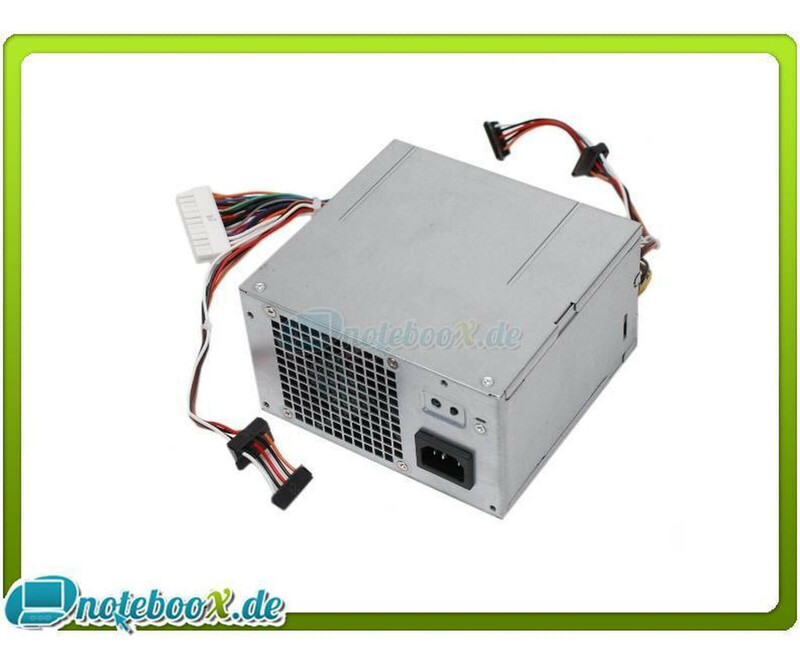 So the 300 watt power supply, among other things for the models Dell Inspiron 560 and 560mt is suitable that can be fitted easily with the component. If you find any indication that prove that you can use the Dell MVM2T power supply, in particular the total power of 300 watts should be identical to the model used to date. Just an easy supply of all hardware components is ensured. We have the cars power supply of course be checked thoroughly to ensure the functional state. To connect the other internal components, various interfaces offered by Dell MVM2T 300 watt power supply. The well-known 24-pin and 4-pin ATX connector are of course the supply of the main board. Four SATA connectors are available but also to operate disks and drives.